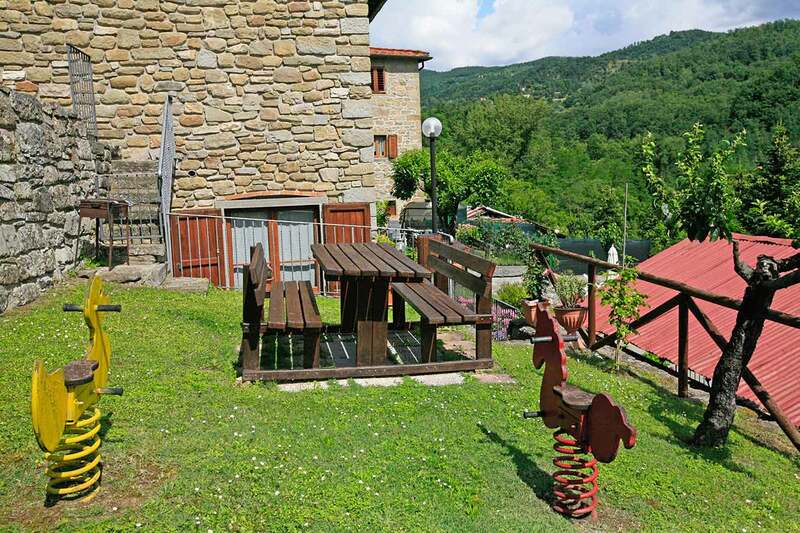 Torre is a private Italian vacation home rental which has a large yard, a covered eating area, BBQ, children`s play area and ping pong table. These outdoor amenities are positioned near the pool only 20 yards from this villa rental. The refreshing garden catches the cool breezes and makes Torre the perfect holiday home for families with children. Each floor has direct access to the outside terraces and both terraces overlook the pool area and a stunning view of Tuscany. 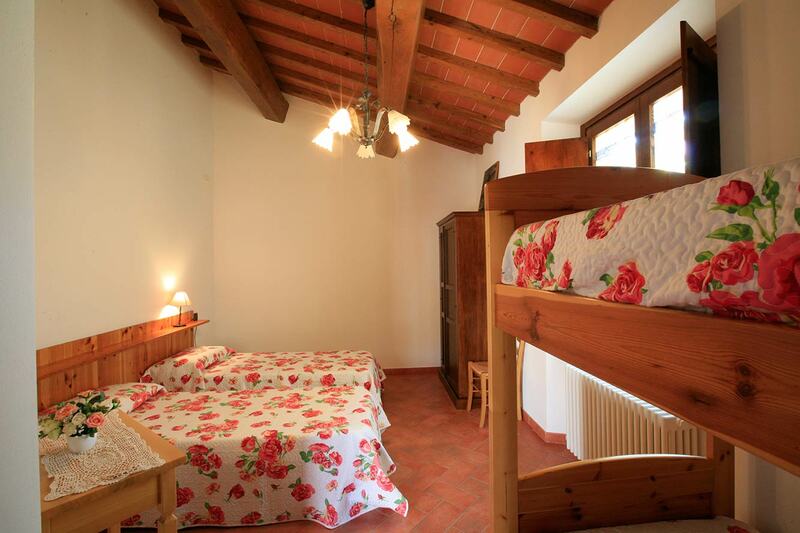 The restored Tuscan farmhouserental has two bedrooms and one full size bathroom on the first floor. The largest bedroom has a double bed and a bunk bed - thus this bedroom is large enough for 4 persons. The second bedroom, located on the first floor has one double bed. The ground floor of this vacation home is a large living space divided into a fully equipped kitchen with oven and coffee maker. There is a full size table for up to 8 persons. In front of the open face fireplace there is a sofa bed and a SAT TV. 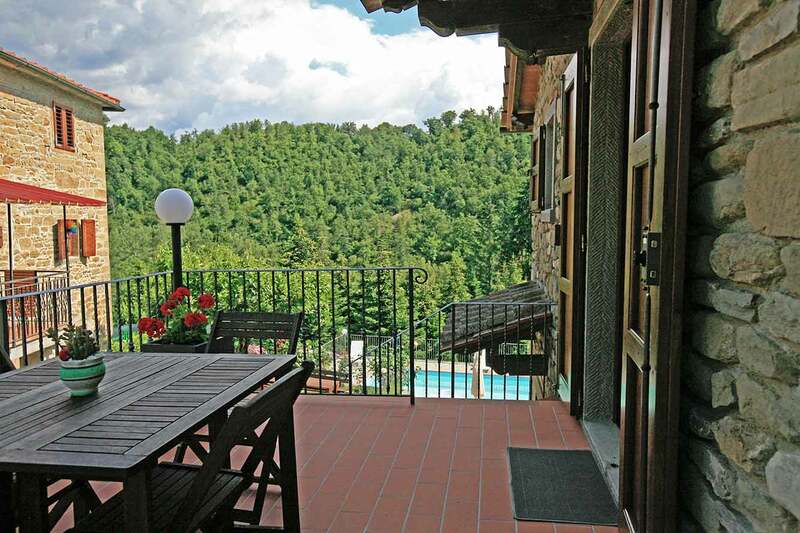 This villa is ideal for a family with children who is looking to enjoy their time in Tuscany and wishes to just kick back and relax at home and take advantage of the private. Day trips to Florence and Arezzo can be arranged easily with the train or local bus. The owner is a great cook and upon request will tantalize your taste buds with classical Tuscan pasta. LA TORRE is a freestanding villa with a private pool and its own garden. 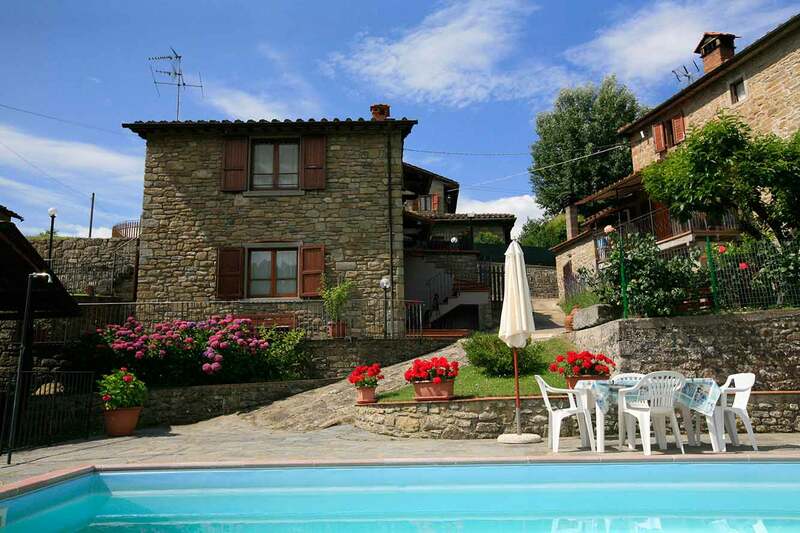 It is located at the end of a small road with 2 other houses nearby forming an ancient Tuscan "borgo", in between the green hills in the valley that connects Florence and Arezzo. It is a two story house with 2 independent entry on each floor. The ground floor has a very large kitchen, completely furnished, with a dinning place for 8 persons. The living area has a completely functional open fireplace with a full size sofa bed and a TV-set. 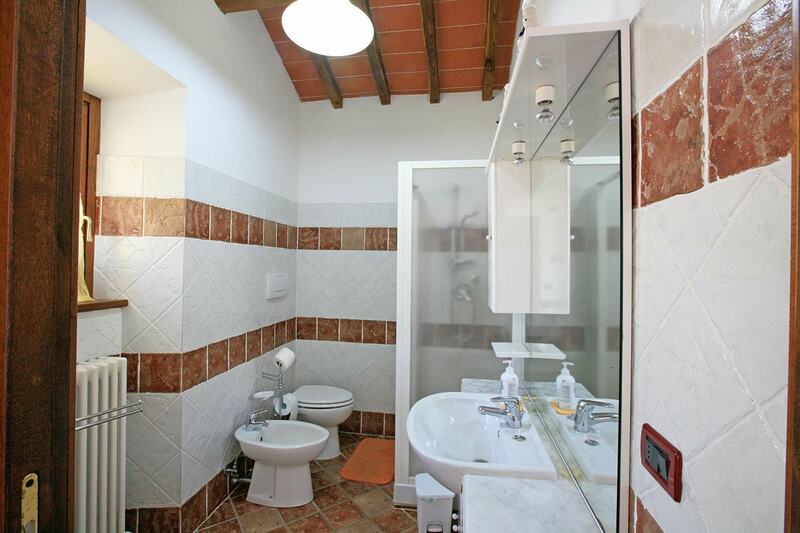 Next to the living area is a large bathroom with a tub, toilet, bidet and 2 sinks. A large door opens right onto the garden, onto a nice terrace with a table, sun chairs and umbrellas. 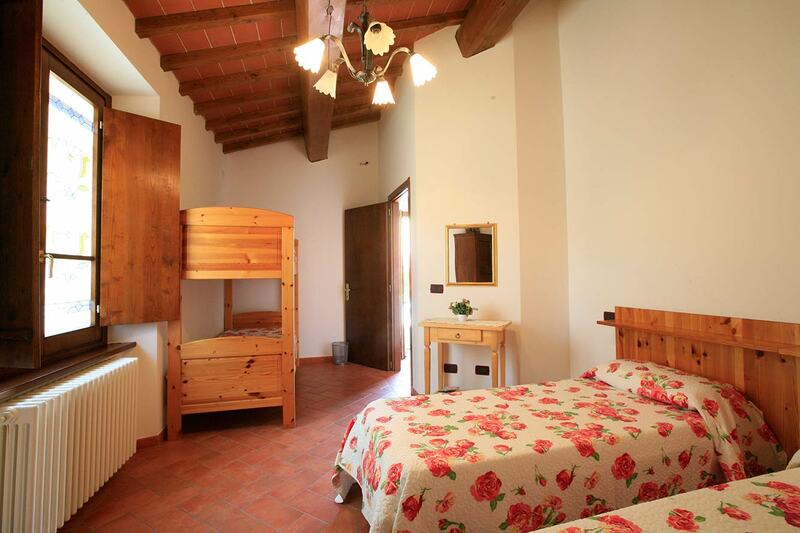 The first floor offers 2 bedrooms, one with a king-size bed the other with a double bed and 2 single beds. 6 persons will find a lot of space in this house. 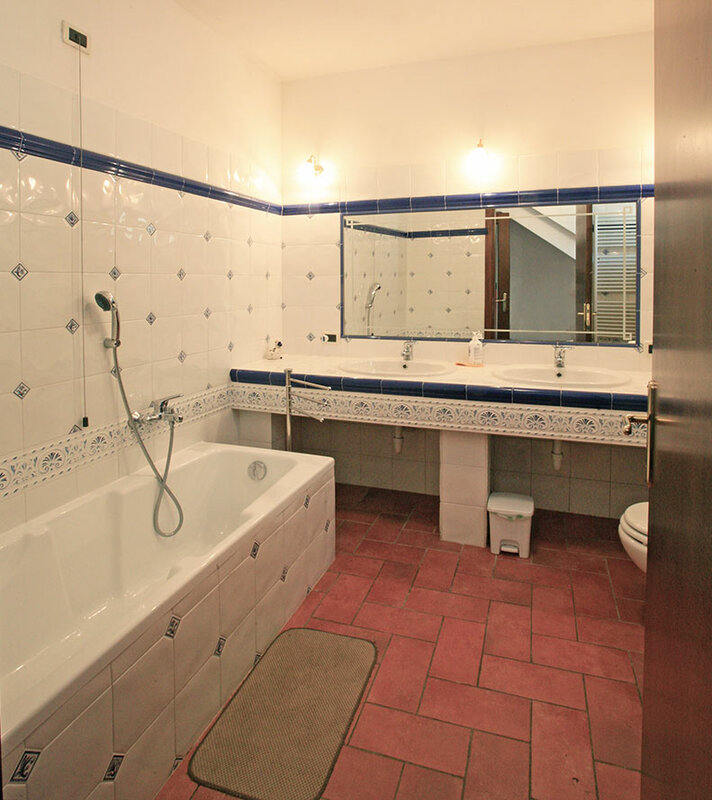 The very nice second bathroom with shower is accessible from both bed rooms. The house is extremely clean and full of light, with large windows each with a different panorama. Right in front of the entrance to the first floor there is another terrace with sun chairs and umbrellas. The house is furnished in the typical Tuscan rustic stile with large oak-beams on the ceilings and Florentine tiles as pavements. A perfect place for a family or a group of friends who are looking for a place to relax. The closest village STRADA is only 3 km, with all shops, restaurants and stores. LA TORRE is located only 20 minutes from a NATIONAL PARK well know for its great walks and silent trails. Horse stables are 1 km away, with the possibility of guided trekkings or riding lessons. A golf course and a public tennis ground are only 17 km away. The pool (9x5 meters) is right next to the house. LA TORRE is the perfect home base for relaxing holidays in combination with sport, hiking and cultural excursions. Its a paradise for children, no cars no noise, a lot of free space and a little river only 150 meters from the house with crystal clear water. A natural playground in unspoiled Tuscan nature. On request you can have lunch or dinner prepared by the owner, truly lovely Italian lady and an excellent cook. Tell her what you like and she will prepare it. If you like you can have a look over her shoulder and might learn something tasty. Loved the property and the owner was very helpful. We had a problem with TV and she arranged for engineer to visit the next day. The pool was freezing cold - but nothing anyone can do about that. Lovely spot for a quiet time. We found Tuscany-Villas personnel helpful and a credit to you. Excellent villa for a lazy holiday beside the pool. Villa is high up in the hills with good views. Owners were very friendly. The nearby Castello dei Conti Guidi is well worth a visit - park in Poppi and walk up. Also had nice day in Arezzo. As said by others there is a hypermarket in Bibbiena. The owners were very friendly, the villa is very comfortable and well presented and despite the less than kind weather we really did enjoy our holiday. Just returned from a two week stay at this lovely villa. Our party consisted of two adults and two children aged 16 and 12. We had a busy holiday here - visited Arezzo, Florence, Siena, Pisa, Rimini and Rome, which were all within easy daytour drive. We found Poppi was good for day to day provisions, though the Iperco-op in Bibbiena (10km) had more choice and didn't close in the afternoons! The villa was clean and well appointed and the views were wonderful. The owners were friendly and helpful and available for advice at any time as they live in the adjacent house. The house was really attractive. We visited an excellent restaurant in town next to the market square and with an outside area. Although we were the only guests the food was very good and not pricy. Another excellent place was in the hills close to Poppy with an excellent view of the village. The local spar in Poppy is good and there is a excellent coop in Bibbiena. The villa is spacious and you have different sitting areas outside. I liked the location very much as it was not in a touristic area and walking distance (15 minutes) to the small village. 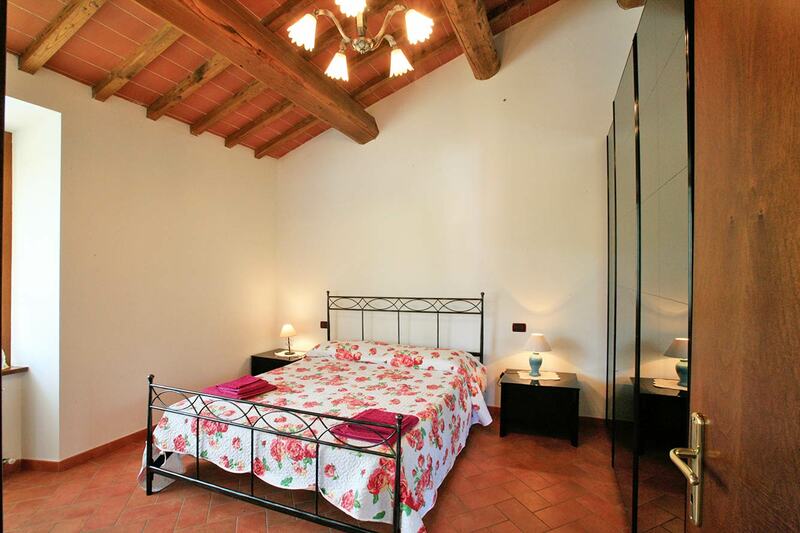 Torre is an excellent and well appointed villa - a little rural and ideal for getting away from it all. The surrounding countryside is beautiful and Poppi about 7 kms distant is ideal for shopping with a charming old town and cafe bar for a relaxing drink or light meal. Poppi is the best local place for provisions and restaurants. We would recommend L'Antica Cantina in the old town, or the restaurant opposite Poppi castle. The pool was lovely and the views very restful.